Since 2015, the second-generation Audi R8 has also been on the road as a customer sport model. For the 2019 season, Audi is now pushing the facelift model onto the racetracks of the world. Above all, customers should benefit from this. At the Paris Motor Show , manufacturer Audi has pulled the towel from the next evolutionary stage of the Audi R8 LMS. 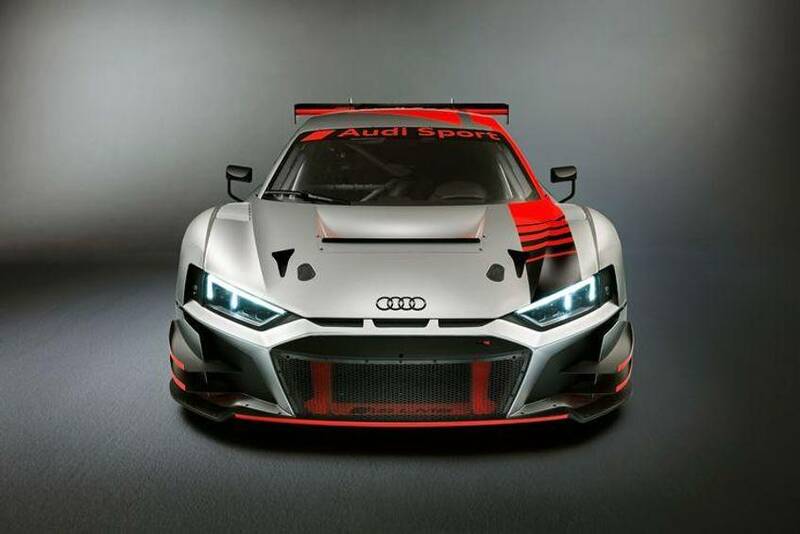 The GT3 model of the R8 LMS is offered for customer racing pilots and is available from November for 398,000 euros (plus VAT). Well, what do you get for your money? The Audi engineers have put their hands to aerodynamics, brake cooling, clutch and transmission. Even a look into the face of the race car shows the new splinter and the slightly modified body shape. This should ensure a more constant downforce across different areas. The Audi Sport department promises greater aerodynamic stability . As far as the brakes are concerned, the removal of warm air and the supply of air to the driven axle have been improved. As a result, the rims heat up less during racing and the air pressure conditions in the tire remain stable. The brake cooling system on the front axle has also been optimized via an adapted air guide on the bumper. Overall, one goal was to make the new customer sport model even more economically attractive. For example, a wear protection for the clutch spring increases the inspection interval of the part by about 50 percent. In addition, there is a revised gearing and reinforced bearings, which should extend the life of the sequential six-speed gearbox. The differential lock should have become more robust, and still provide the desired barrier effect even after several thousand kilometers in racing. Despite the modifications, the dry weight of the R8 LMS GT3 decreases – compared to the first generation, the homologation weight was reduced by 25 kilos. The customer racing racing car is built together with the production model at the Heilbronn location. Both variants do not differ too much; for example through adapted cast nodes, the roof structure and of course a steel roll cage. The 5.2-liter V10 with 585 hp is produced on the same production line as its series counterpart. New assemblies are only used if they are specified by the racing regulations or if they make sense due to the higher load. By the way , Audi is also offering the innovations of the latest evolutionary stage as a retrofit solution for its predecessor model. The package price here is 28,000 euros (plus VAT).